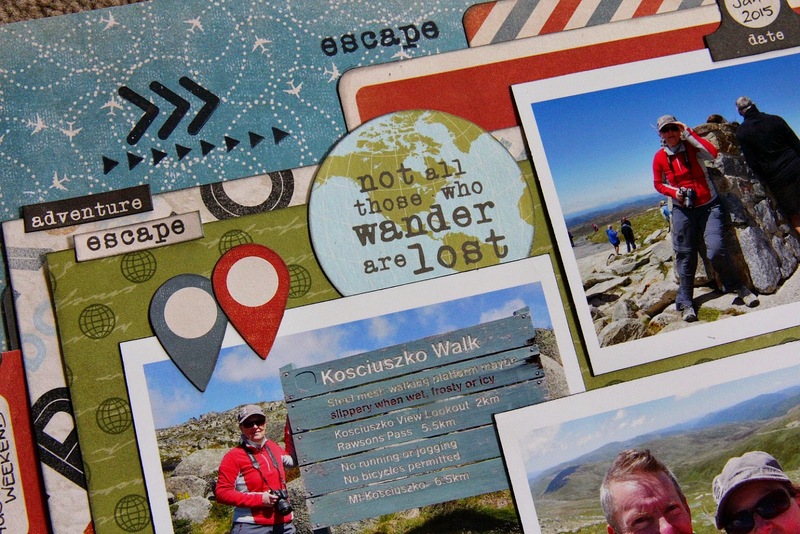 a great collection for all those travel photos!! 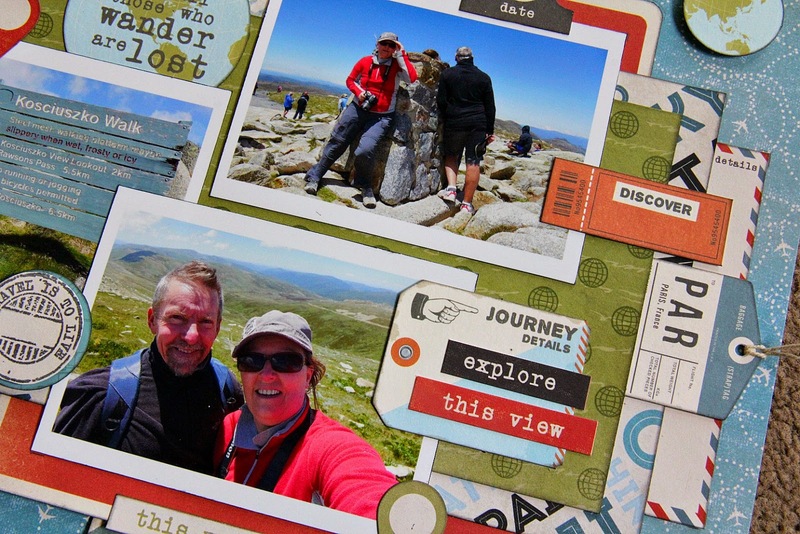 I wanted to fit a few photos on the page for this one...Hubby & I hiking up to Mt Kosciuszko on the Australia Day long weekend. 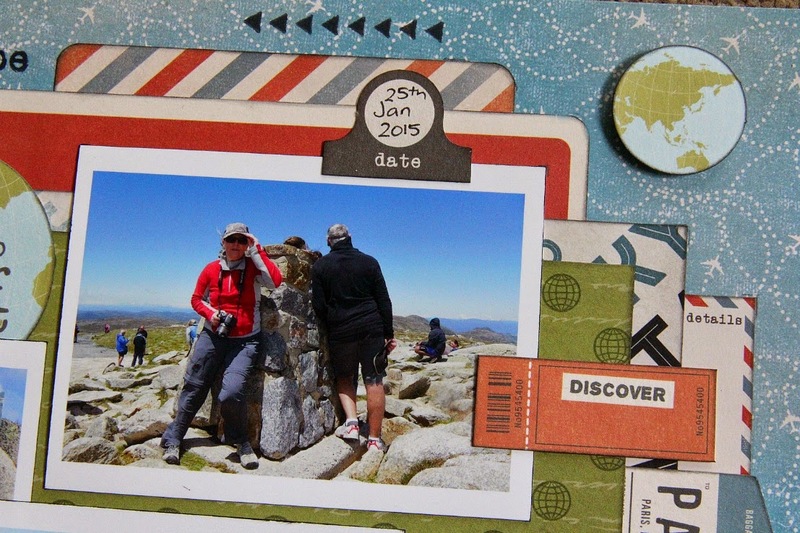 The colours in this collection went perfectly with the colours in the photos. 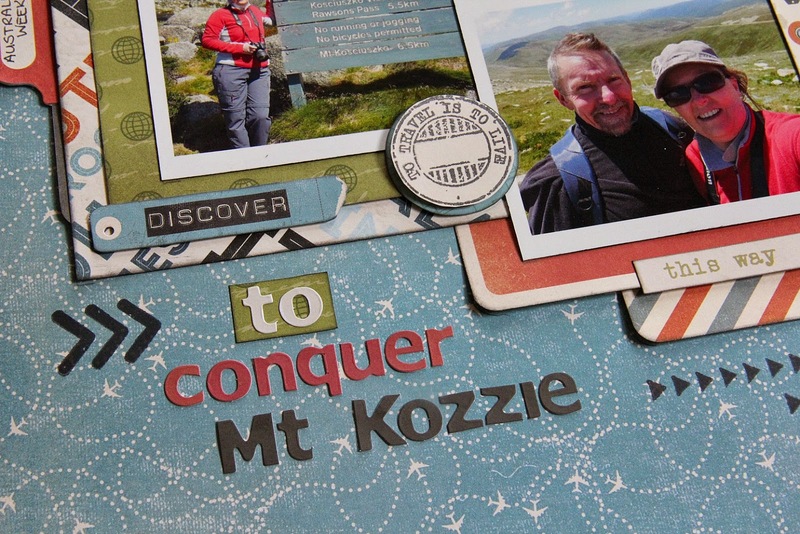 I've also used some of the A is for Adventure, Captured Moments cards as the layering in under my photos - I find these are great for this, and if you're not a PL scrapper, I couldn't think of a better use! How cool are those Geotags?! There are some in both the Collectables pack & on the sticker sheet...so plenty to go around. 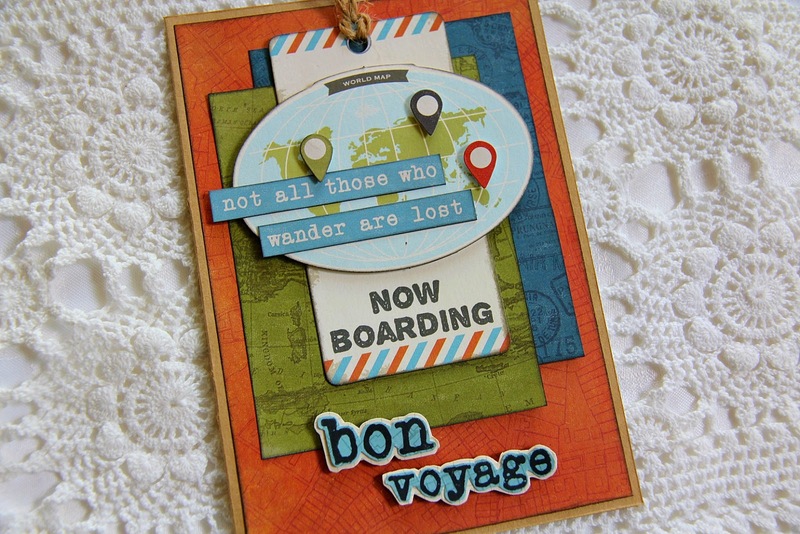 I've also added some stamping to the background, using some of the arrows, chevron arrows & words from the Wanderlust stamp set. 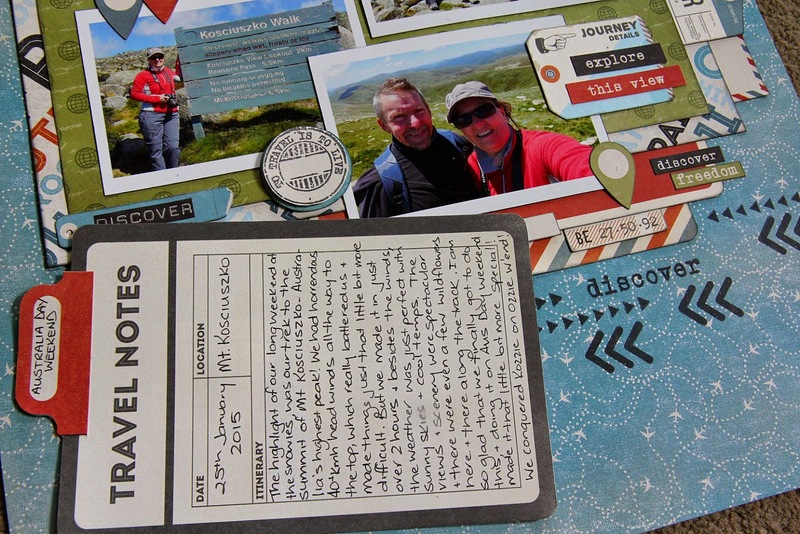 Another great use for the CM cards....for journaling! I created a pocket on the left side of the page, and my journaling card just slips in there with the little tag poking out so that it's easily pulled out to read. 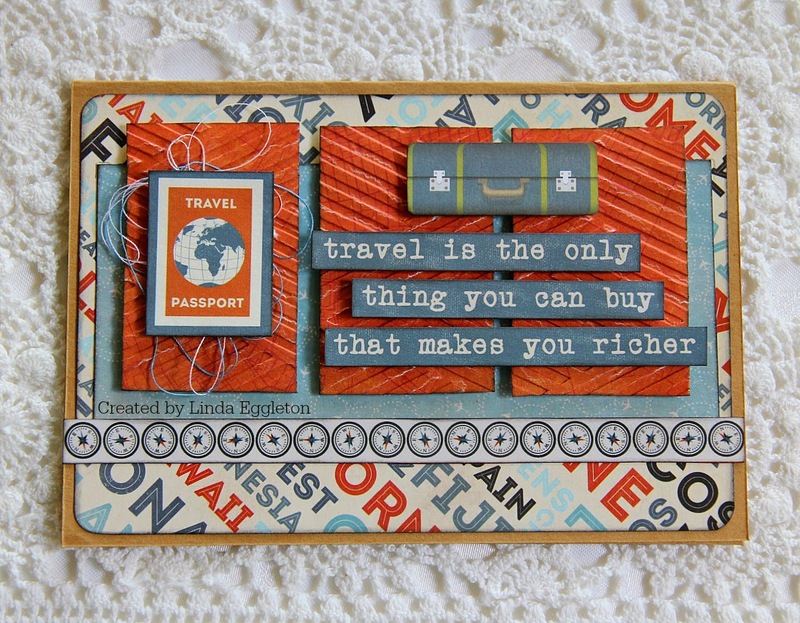 I've used one of the cards from the Kaisercraft Kraft cards & env. pack...topped with another CM card, some layers of paper from the paper pad, Collectables pieces & more stickers from the sticker sheet. 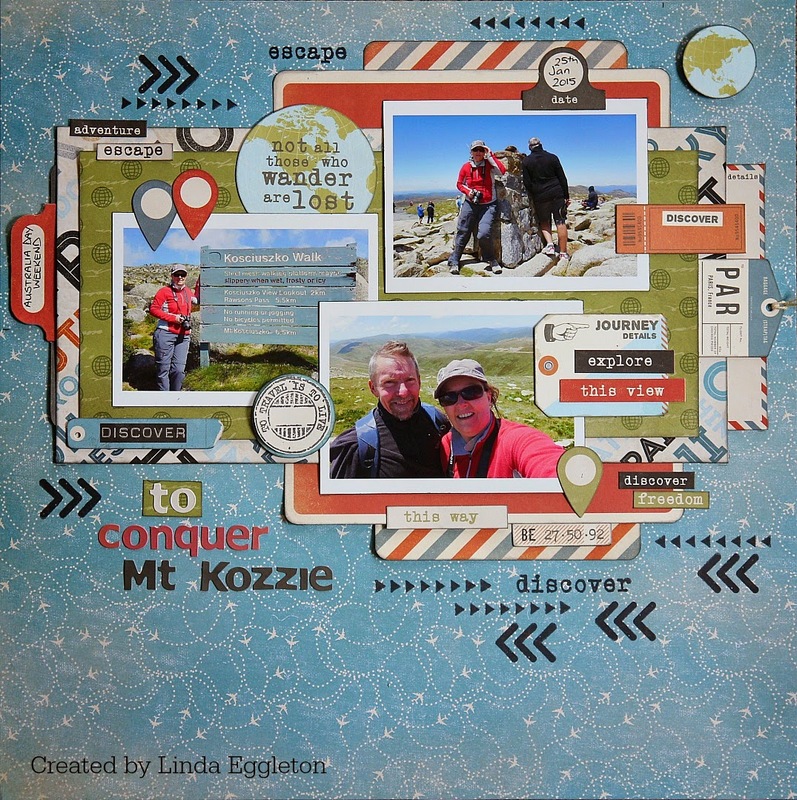 I've embossed a few of the paper pieces with another of the new Embossing folders - this one is called "Weave"....very cool! 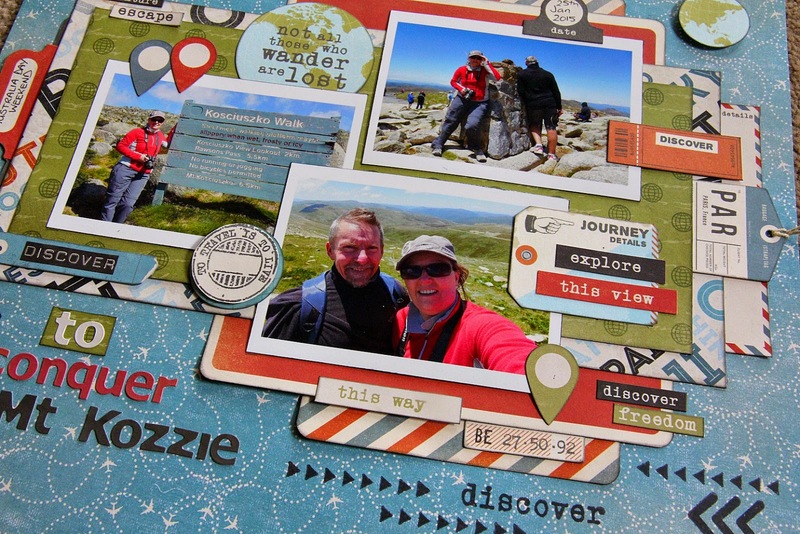 A variety of papers, Collectables & Stickers....layered up on top of another Kaisercraft Kraft card. 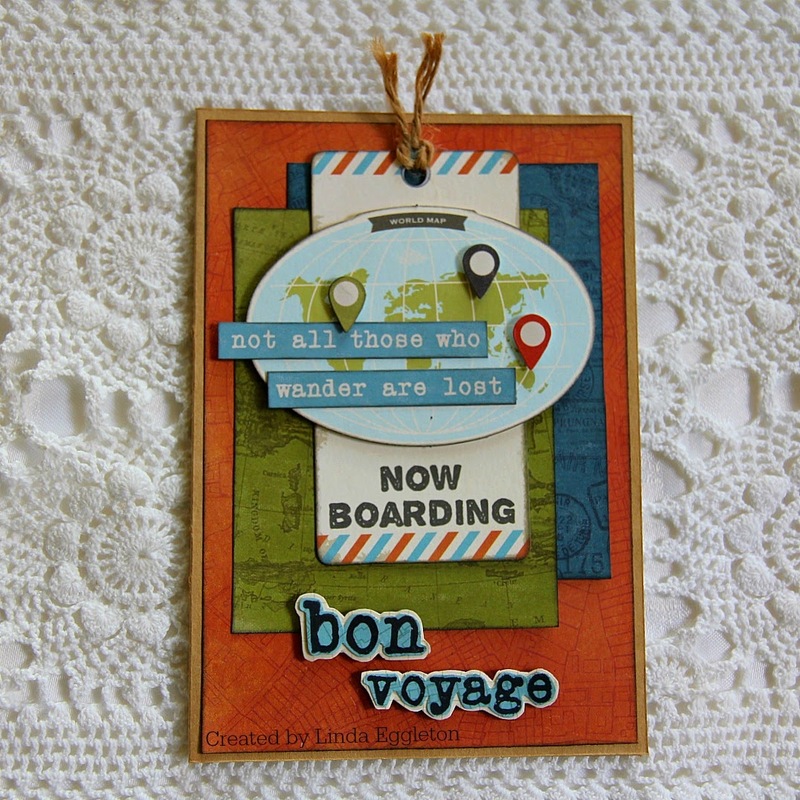 I used the 'bon voyage' stamp from the Wanderlust stamp set, then cut it out & mounted on another piece of patterned paper, and then also cut it out, and mounted it on some foam tape. 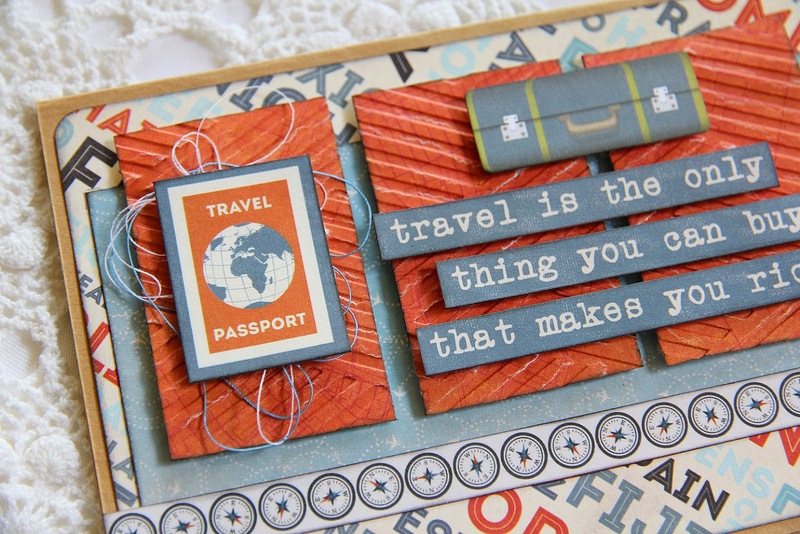 That has me done & dusted for another month of Kaisercraft designing....I hope you have been inspired by this fabulous collection!